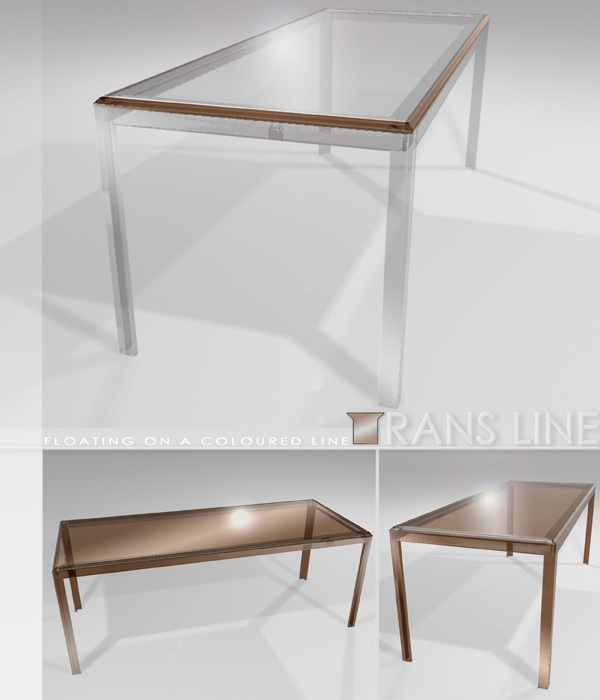 T-rans Line is a Transparent table where one single T-shaped element, running along the perimeter, is the joint between the top and legs. 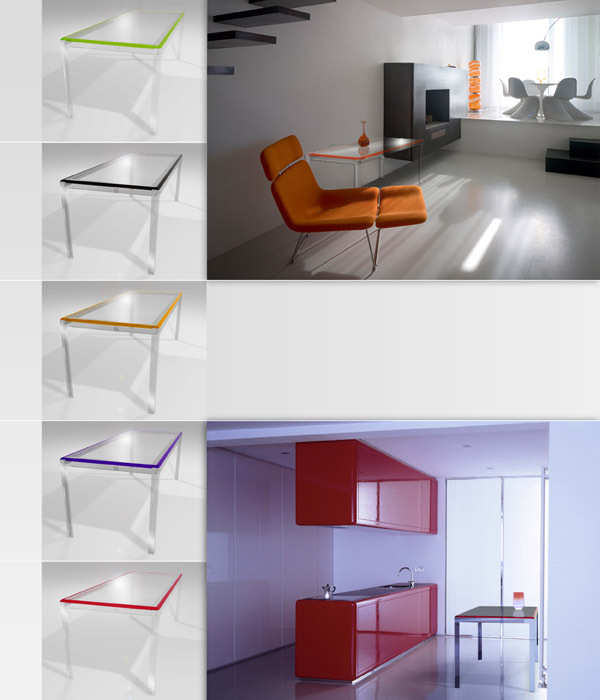 The result is a colored line that gives the table an unmistakable distinguishing mark. 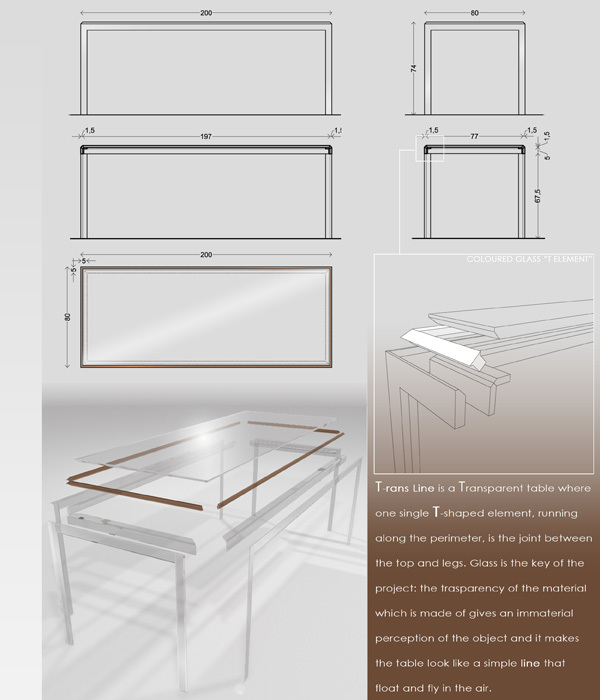 Glass is the key of the project: the trasparency of the material which is made of gives an immaterial perception of the object and it makes the table look like a simple line that float and fly in the air. The glass sheets are sliced and stuck toghether and this means the possibility to have an endless combination of colors.